Paul Ayris is Director of UCL Library Services & UCL Copyright Officer and Chief Executive of UCL Press. Lara Speicher is PUblishing Manager at UCL Press. The purpose of this article is to set in context the launch of University College London Press (UCL Press), which describes itself as the UK’s first fully open access (OA) university press. The drivers for this launch are bound up with the global movement towards open access and open science – developments in which UCL is acknowledged as a European leader. The first part of the article looks at these movements and relates them to the relaunch in May 2015 of the UCL Press imprint as an OA imprint. This analysis has been undertaken by Dr Paul Ayris, Director of UCL Library Services and Chief Executive of UCL Press. The second half of the article is a personal account by Lara Speicher, Publishing Manager at UCL Press, of the relaunch of the Press. This section looks at staffing structures, business models, technical infrastructures, publishing programmes and content. In the final part of the article, Paul Ayris draws some conclusions from the history of the relaunch of UCL Press and sets these in the context of the global open science discussion. A number of research funders, especially in the UK, have OA requirements for research outputs as a condition of grant funding. The Wellcome Trust has such a policy and will pay article processing charges (APCs) for OA delivery. UCL has a good record in complying with Wellcome requirements (see Table 1). UCL performance against Wellcome Trust OA requirements. Research Councils UK (RCUK) also has OA requirements for its funded research outputs and a preference for gold OA. Again, UCL has a good record of compliance against RCUK requirements. This is a new requirement and introduces OA at an earlier stage in the publication workflow: OA must be at the point of acceptance, not at the point of publication. This development, if it is implemented, would make a huge difference to academics and to the research workflow. It would also be a game changer in terms of the levels of OA compliance in British universities. REF 2014 allocated £1.6 billion per annum in research funding and no university can risk losing its share of such income. Hence, the OA requirement in REF 2020 could be pivotal in changing academic behaviour in terms of dissemination of research outputs. Open access to publications is part of a bigger, global debate called open science, sometimes known in Europe as ‘Science 2.0’. In June 2015, the 44th LIBER Annual Conference took place in London, organized by Imperial College London, the University of London, UCL and the London School of Economics. LIBER has over 400 research libraries in membership from across the whole of Europe, and 480+ attenders were present at the event, with visitors from Canada, the USA and elsewhere. LIBER 2015 was the largest conference in its history. The theme of the 2015 Conference was ‘Towards Open Science’ – a global movement which sees openness and sharing as crucial themes in the processes involved in research and education – and the implications of open science were spelled out in two headline presentations. Sir Mark Walport, Chief Scientific Adviser to HM Government and Head of the Government Office for Science UK, gave the opening keynote: ‘What is a library in the 21st century?’. His view was that the role of the library is to communicate knowledge, and knowledge is power. New models of doing and publishing science will inevitably alter how results and supporting data are stored and disseminated, and he discussed how libraries can work to maximize the distribution of knowledge, while protecting the intellectual property of its authors. For Mark Walport, electronic publication is a second Gutenberg moment and science is not finished until it is communicated. He sees librarians as being like visionaries, who will help deliver the revolution that will come in the wake of the ‘open’ agenda. Dr Jean-Claude Burgelman, Head of the Unit of Science Policy and Foresight, Directorate General RTD in the European Commission, spoke next. He analysed the findings of his Europe-wide consultation on open science (see Figure 1). Open science transforming how research is performed and communicated. Jean-Claude Burgelman highlighted that the two main features of the open science movement are perceived as open access to publications and research data management (RDM), with open data as a goal. When questioned in the European consultation, 63% of respondents felt there was a need for intervention to support open access to publications and data. He invited delegates to imagine research teams across the globe wanting to find solutions to the challenges which beset society, such as global warming, disease and poverty. By making their publications, and the data which underpins these publications (everything from sonnets to statistics, genes to geodata), available for sharing and reuse, researchers can transform the pace and impact of their research activity. Open science represents a potential revolution for research, a ‘Gutenberg moment’, as Sir Mark underlined. It was the invention of moveable type printing in the West at the end of the 15th century that prepared Europe for the impact of the Renaissance and the Reformation and the polemics that accompanied religious change in the 16th century. Open science can have a similar transformative effect on research and society in the 21st century. Open access and open science are the drivers for UCL’s establishment of a fully OA University Press, and the steps UCL took to make this a reality are outlined below. The origins of the UCL imprint go back to 1991 when the first UCL Press was started. At its high point in 1996 it was publishing 100–120 books per year. It was then sold to a commercial publisher and the imprint passed through a number of commercial hands. For a variety of reasons, this effectively ended active publishing under the UCL Press imprint. Years later, UCL sought to repatriate the imprint. This was achieved in 2013 and I joined UCL Press later that year. The task of setting up a university press from scratch was an exciting and daunting one, especially for an institution as highly regarded as UCL. Introducing a very new business model – indeed, UCL Press describes itself as the first fully open access university press in the UK – presented a radical alternative to the traditional university press publishing models. a wish to test the current publishing models with a new offering. In terms of new publishing models, much discussion on OA centres on journal articles. However, in the arts, humanities and social sciences (AHSS), monograph publishing is an important part of the research space. For OA to succeed, monographs need to appear as OA outputs just as much as journal articles. OA is an opportunity, not a threat. The potential of OA to change current publishing paradigms was a major reason why UCL set up UCL Press as a fully OA university press. To announce the presence of the new Press, a call for proposals was issued to all desks in the staff newsletter and to heads of department in early 2014. This produced an immediate response; we received many proposals and even some finished manuscripts at a rate that took us by surprise. It became necessary to deal simultaneously with a large number of authors, submissions and advocacy within the university, alongside business planning, setting up infrastructures and recruiting staff. During the first 18 months, the Press received over 100 proposals for books, and started discussions for four or five book series. In addition, proposals have been received for nearly 20 journals, both established and new. The book proposals have largely been for monographs and edited collections, but the Press has also received proposals for textbooks, scholarly editions, poetry, and academic UCL museum and library collections books. I have met with nearly every author who has proposed a book, so it has been an intensive, but incredibly useful period for getting to know authors at UCL and beyond very quickly. Each proposal is reviewed and discussed at an editorial board, which I attend along with the Chief Executive of the Press, senior library staff and academics. If the proposed book is considered suitable for the Press in terms of its scholarly merit and its fit with our accepted genres, then the full proposal and sample chapters are sent for peer review before we offer an author contract. The full manuscript is also reviewed on receipt, to ensure that it meets the standards and description contained in the original proposal. Any problematic reviews are discussed at the editorial board, and the anonymous reviews are always shared with the authors so that they can revise their work and respond to the comments. In 2015, our first year of publishing, the Press is publishing nine books and two journals. For 2016 there are at least 30 potential books. This is in line with the business plan which predicted and planned for publication of 10 books in the first year, 20–25 in the second and 30–35 in the third year. At the current pace, we are well on our way to achieving our initial targets. The appointment of a Commissioning Editor in summer 2015 has given the Press extra momentum and the dedicated commissioning resource needed to manage the volume of proposals received. The first three books published for the launch of UCL Press in June 2015 were: Temptation in the Archives by renowned scholar and author, Professor Lisa Jardine, who was recently made a Fellow of the Royal Society; Treasures from UCL by Gillian Furlong; and The Petrie Museum of Egyptian Archaeology: Characters and Collections by Alice Stevenson (see Figure 2). In just under a month after initial publication, there were over 3,000 downloads of these books from over 80 countries. The first books published by UCL Press in 2015. In the first phase, we have focused promotion of the Press to UCL academics, who are funded by the Press to publish with us if their proposal is accepted. All OA publishing has to be funded, since print sales are potentially diminished by the free version. Non-UCL academics are required to pay an APC, which starts at £5,000 and covers editorial and production costs. In this early stage, only around 5% of accepted proposals are from non-UCL academics, but the Press will increase its promotion to external authors as it grows, and now that the new Commissioning Editor is in place. OA monograph dissemination OA monographs are hosted in UCL Discovery (UCL’s institutional repository), and the UCL Press website links directly to the PDF file so that downloads are seamless. Monographs are also hosted on OAPEN, the popular OA monograph platform for Europe. Other OA platforms are under review, and this will be a key part of the new Marketing and Distribution Manager’s role. OAPEN not only provides a platform for the books but also acts as an aggregator, disseminating content to library suppliers round the world. Print books Print copies of the books, and e-books (in Mobi and EPUB formats), are sold via the UCL Press website and distributed to major online and bricks-and-mortar retailers and library suppliers via the book distributor NBNi. UCL Press’s retail prices are kept at a reasonable level: £15 for a standard paperback monograph, £35 for hardback and £5.99 for an e-book. Our distribution arrangements are currently for the UK only; in our next phase of development, worldwide distribution is planned. The Press uses Compass for sales representation, to sell directly to chain, specialist and campus bookshops. Platform for enhanced digital books In addition to plain PDF delivery for the OA versions of the books, UCL Press is working with Armadillo Systems to develop a bespoke online reading platform for all its books with enhanced features and scholarly functionalities. This has already been developed for two pilot projects: Treasures from UCL and The Petrie Museum of Egyptian Archaeology. The key features of these books are those such as audio, video, music, slideshows of images, and 3D objects, which suits the highly visual subject matter. For monographs, which are mostly text-only or text-heavy, and which are intended for a scholarly audience, the platform will be developed further with features such as the ability to build a personal library, highlighting and annotation features, the ability to share annotated copies, syncing across devices, and citation tools. This platform is planned to launch in November 2015. My role as Publishing Manager entails oversight of the UCL Press publishing operation: setting and managing the budgets and policies for the Press, sourcing infrastructure services and suppliers, establishing roles and responsibilities of new staff members, commissioning books and journals, proactively seeking out research areas of interest for potential publishing, meeting with authors and journal editors, managing the peer-review process and co-ordinating the forward publishing programme. Marketing and Distribution Manager (joined July 2015): promotes the books widely, and manages the relationship with distributors and the external sales team. In 2016 UCL Press will be recruiting a Journals Editor to acquire and manage all the journals, including management of the online platforms, and to act as the main point of contact for journal boards and editors. UCL Press first came into existence as a commercial publisher in 1991, reaching its zenith as a publisher in around 1996. After that, activity diminished and publishing effectively came to an end. UCL Press was relaunched in June 2015 as ‘the first fully OA university press in the UK’. It forms a substantial contribution to the UCL 20344 strategy to deliver UCL as an accessible and publicly engaged5 organization. It also feeds the wider global move towards open science.6 UCL has a reputation as a disruptive innovator, and the relaunch of UCL Press carries on that noble tradition into the 21st century. Paul Ayris is Director of UCL Library Services, UCL Copyright Officer and Chief Executive of UCL Press. Lara Speicher is Publishing Manager at UCL Press. LERU Open Access Working Group. 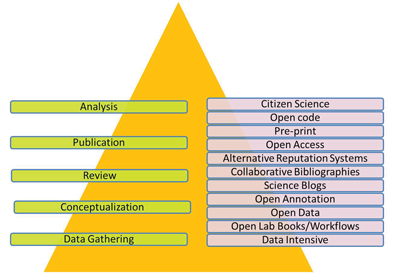 The LERU Roadmap towards Open Access. LERU Advice Paper No. 8. June 2011 http://www.leru.org/files/publications/LERU_AP8_Open_Access.pdf (accessed 30 July 2015). Gray, C (2010). ‘Getting your feet wet: An introduction to Open Access’. RIN. http://www.rin.ac.uk/our-work/using-and-accessing-information-resources/introduction-open-access (accessed 28 September 2015). HEFCE report (). http://www.hefce.ac.uk/rsrch/oa/ (accessed 30 July 2015). UCL website (). 2034 http://www.ucl.ac.uk/ucl-2034 (accessed 30 July 2015). UCL website (). ‘An accessible, publicly engaged organisation that fosters a lifelong community’. ref. 4 http://www.ucl.ac.uk/ucl-2034/principal-themes/accessible-engaged (accessed 30 July 2015). The Royal Society Science Policy Centre report 02/12. Science as an open enterprise. The Royal Society. June 2012 https://royalsociety.org/~/media/royal_society_content/policy/projects/sape/2012-06-20-saoe.pdf (accessed 28 September 2015).